As if we didn't have enough trouble already, now we got to worry about some guy named Adbul carrying a load of suicide mice in his back pack or briefcase. At the point I have a question. How on Earth can the bad guys get those little bitty suicide bomb belts on the mice? Could somebody help a bruthah out on this? Inquiring dumbasses want to know. Let's see, where were we? Oh, yeah. Nik the dumbass was busted for putting a bag full of live mice in the ceiling of his pizza joint competitor down the street. One of the charges Nik faces is "This is food terrorism by mice". So, once again some dumbass American invents a new way to become a bigger dumbass. If it wasn't so damn funny, it would be pitiful. 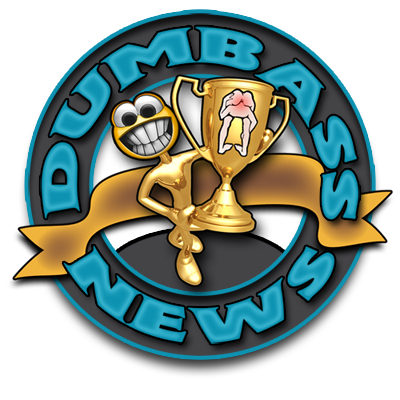 But, hey, we prey on the pitiful here at Dumbass News, so the more dumbasses, the better for us. Bring us your downtrodden, your poor, your hungry, your dumbasses and we'll be more than happy to berate and belittle them like the scuz they are. Having been downtrodden, poor, hungry and a dumbass at one point or another in my life, I have earned the right to make fun of anybody, anywhere except my Mama. So show me a list of rich ambulance-chasin' Attorneys at Law, I'll make fun of those bastards, too. I am an equal opportunity insulter. That's the second time I have digressed in this one post. I gotta watch out for that. And mice. I gotta watch out for mice. I suffer from Aratnophobia. The fear of four more years of our current Commander in Cheese. He's Lindberger (sp) all the way.